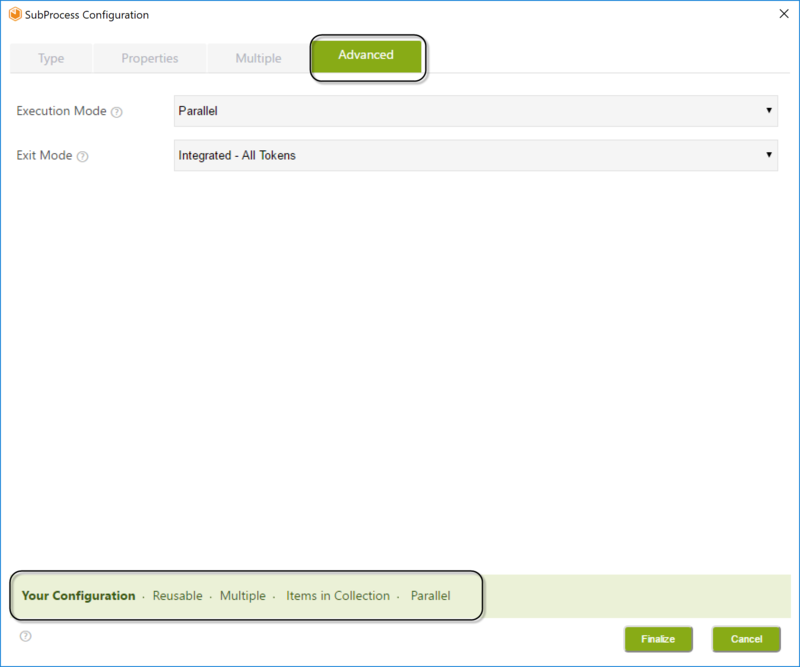 Users can select how the Sub-Process is executed, creating all instances at the same time (Parallel), or one by one (Sequential). •Users can configure how the parent Process behaves as the instances created are finished: If it waits for all of them to be finished in order to continue, if it waits for one only, or decide according to a special condition. The following sections contain examples that illustrate the different options.